Cats are adorable, but like dogs, they can also get into trouble. They bring dead birds to your doorstep and use your couch as a scratching post. Most of all, they don’t listen to any of your commands. Their odd behavior may annoy us at times, but that doesn’t mean we aren’t amused. For one, cats love crawling into enclosed spaces, no matter how bizarre. However, domestic cats aren’t the only ones known to get stuck inside flower vases. Tigers do it, too. 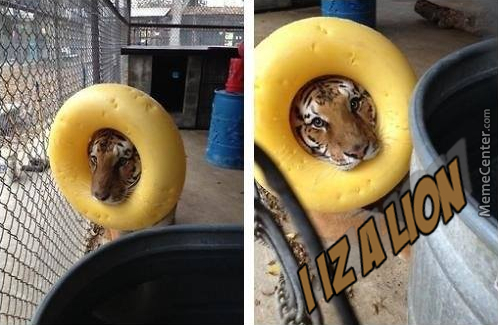 Here are 10 tigers that are die-hard fans of the "If I Fits I Sits" cat meme. Why see the world one way when seeing it upside down is way cooler? 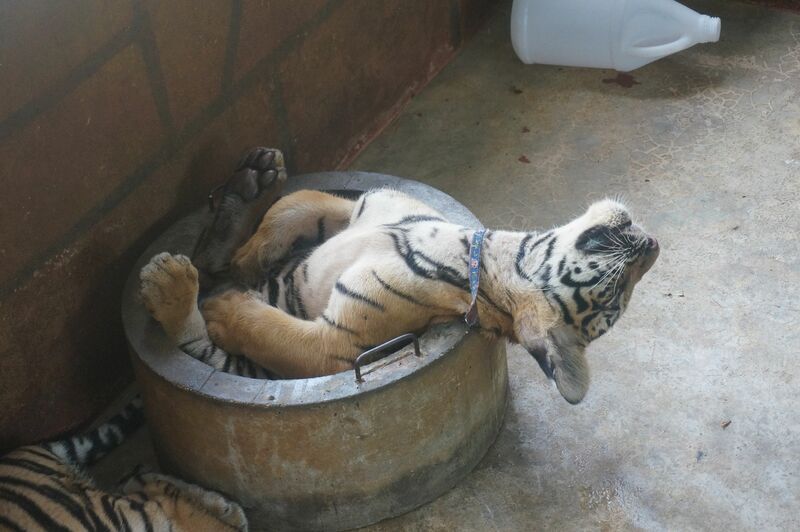 Clearly, this tiger cub’s idea of relaxing is by sitting in a bucket with his head turned upside down. Though the position looks uncomfortable to us, this tiger cub loves the thrill of having blood rush to his head. Either that, or he’s stretching his back. One way or another, we’re getting a kick out of this cub’s selfie. When it’s 100 degrees outside and there’s no breeze for a break, it makes sense to cool off in a pool of water. These three tigers decided to beat the heat by jumping into a tub of murky water. Though they’re all clearly adults and pretty big themselves, there was luckily enough room for all three tigers to fit. These guys definitely had the right idea when it comes to those hot summer days. 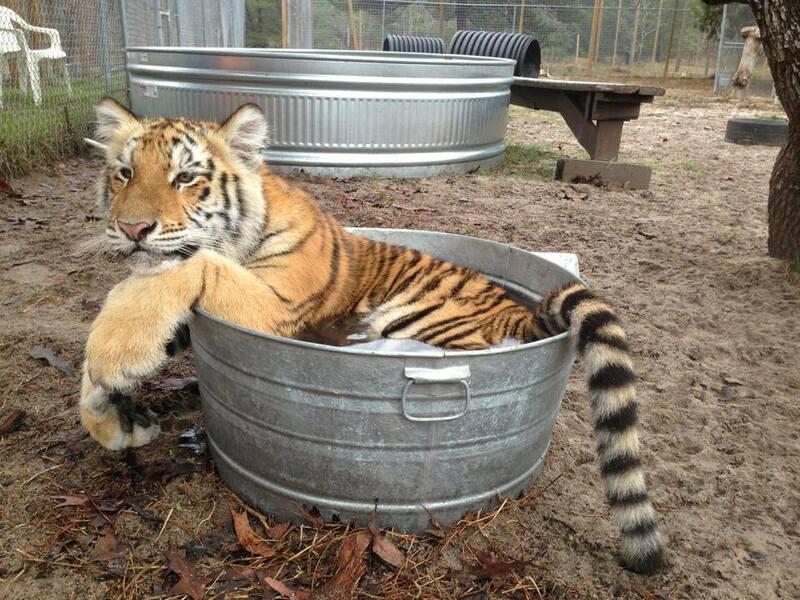 This little tiger cub rather cool-off in a tin bathtub than play with the other cubs. The cub looks rather comfortable as he lies in the tub of water, clearly a great fit for his size. We’re almost jealous that he has the pool all to himself and looks as though he might refuse to share. This cub was only looking out for himself and himself only. We all know the waterhole is too small for this big guy, but he just doesn’t want to accept defeat. 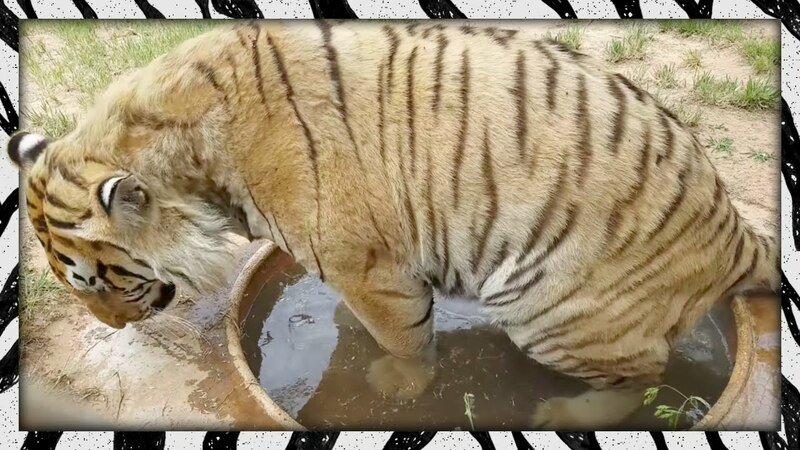 This adult tiger manages to get all four paws and legs into this small watering hole. He attempts to sit but doesn’t quite make it. He’s trying to find the right angle to fit all of himself comfortably inside, except it’s not happening. It must be extremely hot if he’s working this hard to fit inside this waterhole. Sometimes it’s best to move on and seek heat relief elsewhere. We all know that cats have a weird obsession with boxes. Research says that cats usually hide in confined spaces or high places to stalk prey or hide. This makes sense, especially considering that big cats like boxes, too. 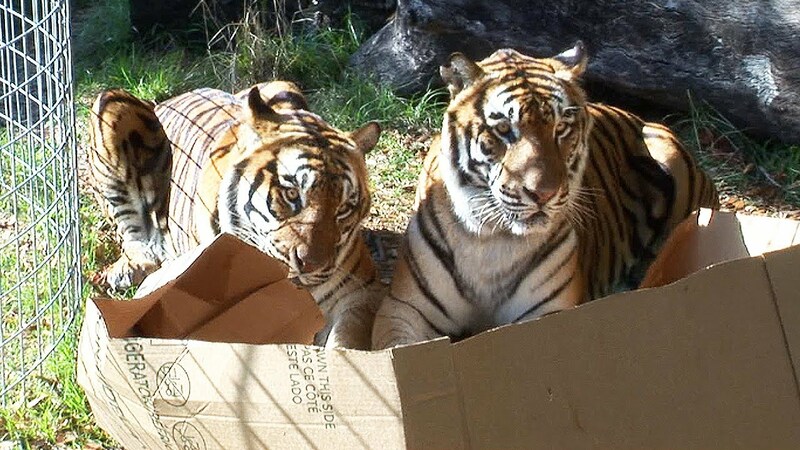 Throughout the YouTube video, these tigers were kept busy with a cardboard box; clawing, biting, and ripping it up until it was basically destroyed. Eventually, one of the tigers gets inside the box and decides to take a temporary break from playing. We almost kind of feel sorry for the box. I mean, just look at it! Adjusting to a new home can and environment can be challenging at first but eventually, you start to feel as though you belong. The transition to a new place can be as easy exploring your surroundings and seeing new sights. 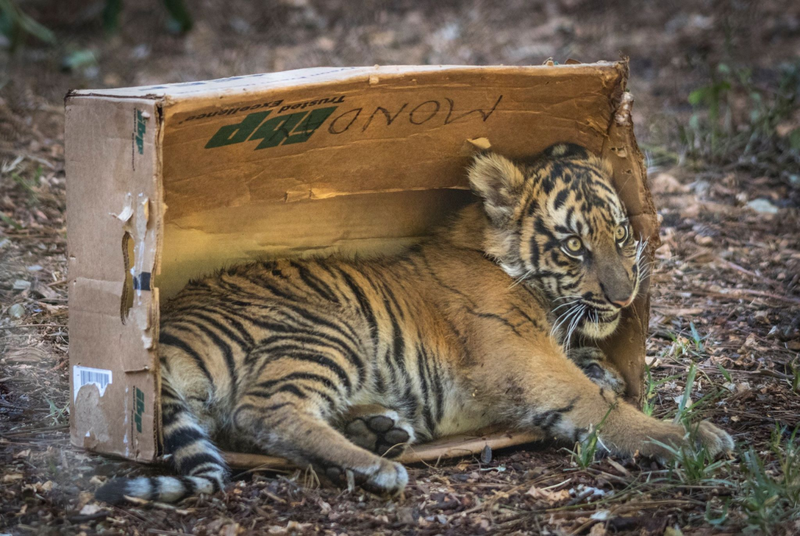 For this cute tiger cub, his new home ended up being a box. He seems to have adjusted quite nicely and is loving his new cardboard home. From the looks of it, he even likes the way it tastes (hopefully he didn’t actually eat the box). Talk about a fur-ever home. We’ve all seen photos of people who fell asleep on accident and woke up finding themselves in either odd positions or places. Some will even doze off on a mattress set in a mattress store just because it’s so soft. For the rest of us, massage chairs or soft plushies will do the trick. This tiger knows exactly what we’re talking about. Outstretched, paws up and eyes half-closed, this big cat is lying on cloud nine. That must be one comfortable couch. Tigers usually have large heads. The average size of an adult tigers head is anywhere between 140 to 280 cm long which is bigger than any donut-shaped water balloon. 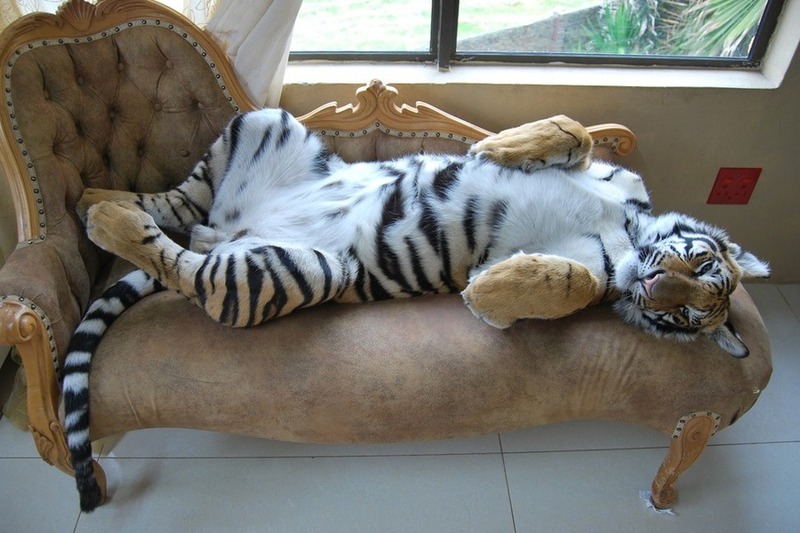 While they are usually used at beaches, pools, or for therapeutic purposes, this tiger decided he’d challenge stereotypes. His head may be large, but he proved that even big cats can fit into the smallest of things. A true inspiration! A little “me” time is always a necessary luxury. When you have a younger brother or sister, we definitely need our own space and alone time. Maybe even more than the average person. 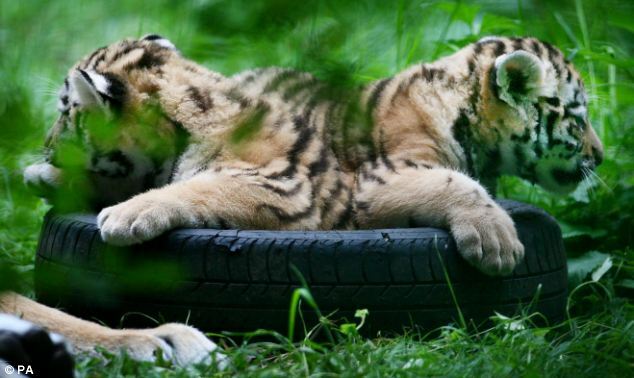 These tiger siblings, however, don’t seem to mind sharing their space with one another. The cubs sit comfortably in a random donut tire in the shaded part of the forest, cooling off for the day. This picture says it all, twins do think alike! 1 Tiger's Can Climb Trees? Though domestic and some wild species of cat have been known for their tree climbing abilities, tigers are not. Given their massive weight and size, you’d think a tiger wouldn’t dream of hiding up in a tree. However, in recent years, big cats, like lions, cheetahs, and tigers have shown their ability to climb up trees when provoked. Tigers, like all big cats, maybe awkward and seldom climb up tree's but when push comes to shove, they’ll find a way to get a tree ledge.